Use this pressure gauge on model numbers beginning with the letters CI, CL, EX, HS, HL, PROV, TF, TK or VT such as models HS581000AJ and VT558705AJ, and on other brands of air compressors. The Campbell Hausfeld 1/4-inch NPT pressure gauge (GR002000AJ) measures air pressure from 0 – 300 PSI and is designed to replace the pressure gauge on most Campbell Hausfeld air compressors with model numbers beginning with the letters CI, CL, EX, HS, HL, PROV, TF, TK or VT such as models HS581000AJ and VT558705AJ. It also can be used on some other brands of air compressors. 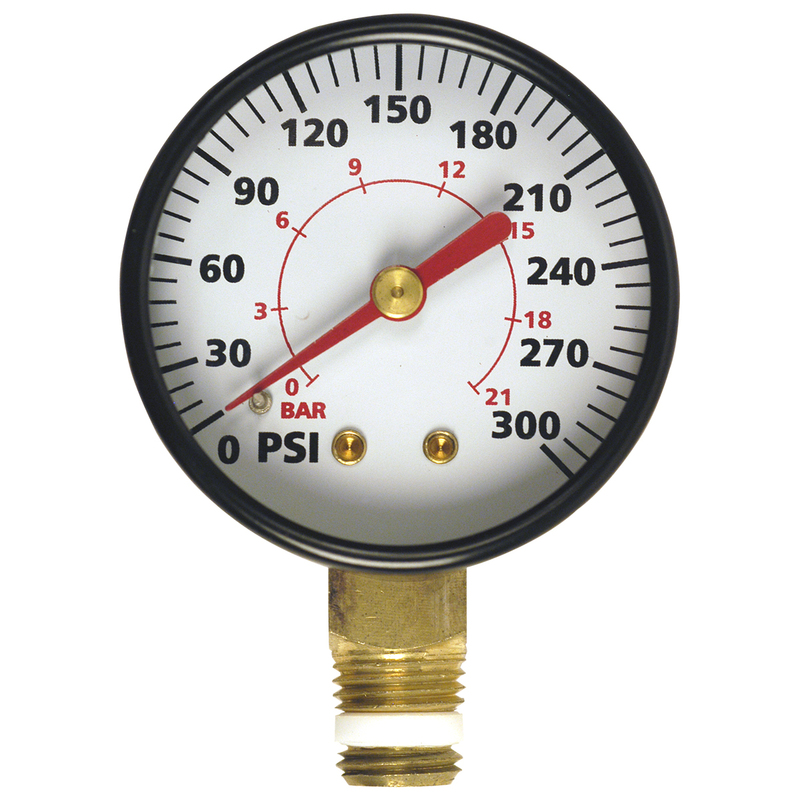 Refer to your owner’s manual to see if this pressure gauge fits your air compressor.